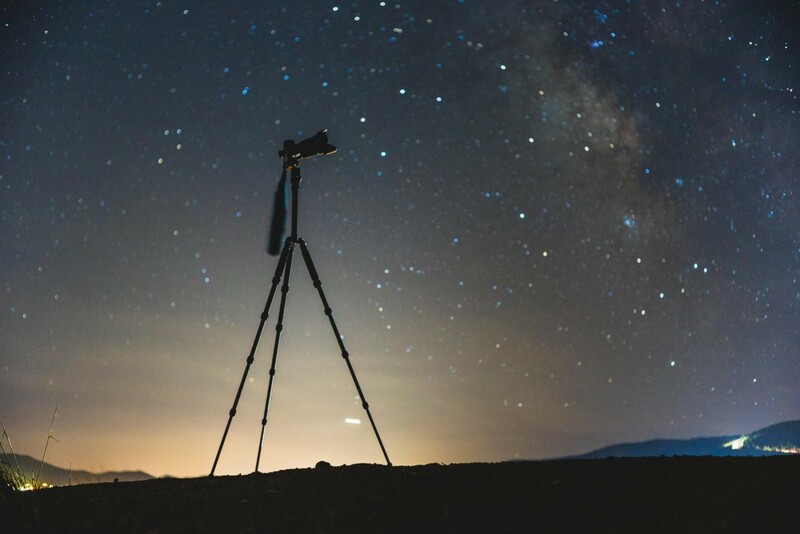 Let’s talk about the bare minimum of what you will need to photograph the Milky Way. Most people reading this article will probably already have a digital SLR or some other interchangeable lens camera. Luckily a camera is the most expensive thing you need for astrophotography aside from a lens. The very best bang for the buck will be a digital SLR with a 4/3, APS-C or full frame sensor size. The choice of brand really doesn’t matter all that much. If you’re just starting out, I almost always suggest the two biggest brands: Canon or Nikon. Both of these companies make excellent cameras and each has huge swaths of devoted users and expansive online communities to help you along. That said, any of the other major brands are excellent. Sony, Pentax, Fujifilm, Olympus, Panasonic, or Samsung: they all make great cameras and pretty much any of them will work great. When picking a camera, I particularly prefer cameras with tilting displays so that it’s easier to see the screen when using it low to the ground. 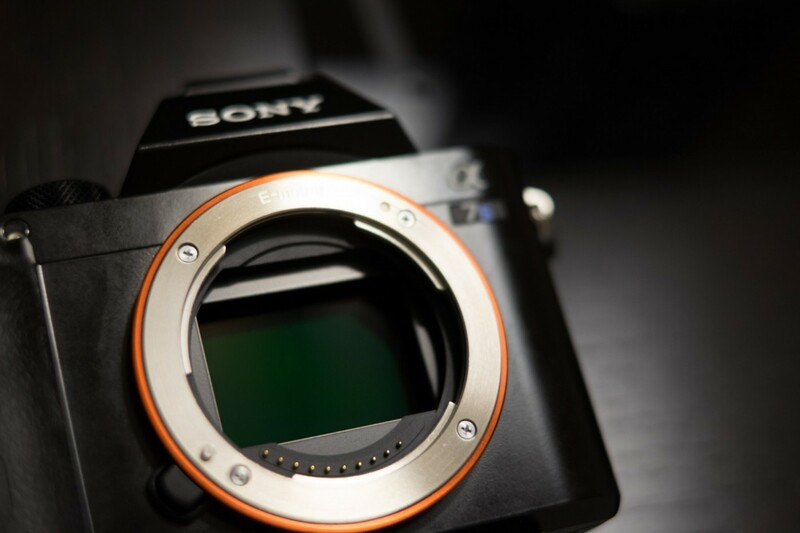 I’m currently using a Sony a7S. The Milky Way is really really big. Like huge. The easiest way to capture it is to use a wide angle lens that will allow you to frame a large portion of the sky. On APS-C cameras, stick with a lens with a focal length of 24mm or shorter. On full frame cameras: 35mm or shorter, and on 4/3 sensors: 17mm or shorter. The shorter the focal length, the wider the field of view. That 18-55mm kit lens that probably came with your camera? That lens is just fine to start with. When zoomed out to 18mm, it has a pretty wide field of view and should be able to capture a significant portion of the Milky Way. For even better results, you’ll probably want a “fast” lens with a low f/number rating. I usually recommend lenses with an f/number rating of f/2.8 or lower. The lower the number, the larger the aperture of the lens and the more light that it can collect for exposing the dim stars in the night sky. Check out my guide on how to pick a lens for milky way photography to learn more about fast lenses. 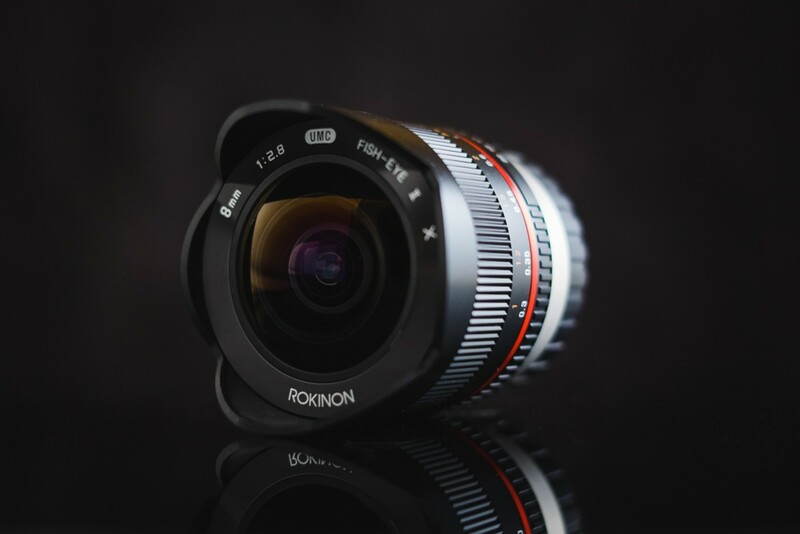 My favorite lens for full frame cameras is still the Rokinon 24mm f/1.4. Anyone thoroughly interested in photography should invest in a decent tripod. For astrophotography it’s essential. You only need one, and it’s likely that a good tripod will outlast all of your other camera gear. First, I recommend tripods paired with a ballhead. Avoid tripods with panheads at all cost, they’re a pain to frame your shot and have a more limited range of motion than a ballhead. Secondly, the tripod should be stiff and stable. Make sure that you’re not too close to exceeding the recommended load capacity of the tripod and consider one made of carbon fiber rather than aluminum. Carbon fiber is stiffer and lighter than aluminum so it’s a great material for tripods. Carbon tripods have also come down in price drastically and are now rather affordable. Finally, make sure it’s not too heavy. This is the last but arguably the most important consideration in a tripod. If you’re buying your first tripod, I recommend keeping it lighter than 5 pounds. Seriously. Anything heavier will likely be too big and heavy to carry. You should have no hesitation to bring your tripod with you everywhere you go. The lighter the better. I currently use the tiny Sirui T-025X which weighs less than 2 pounds. 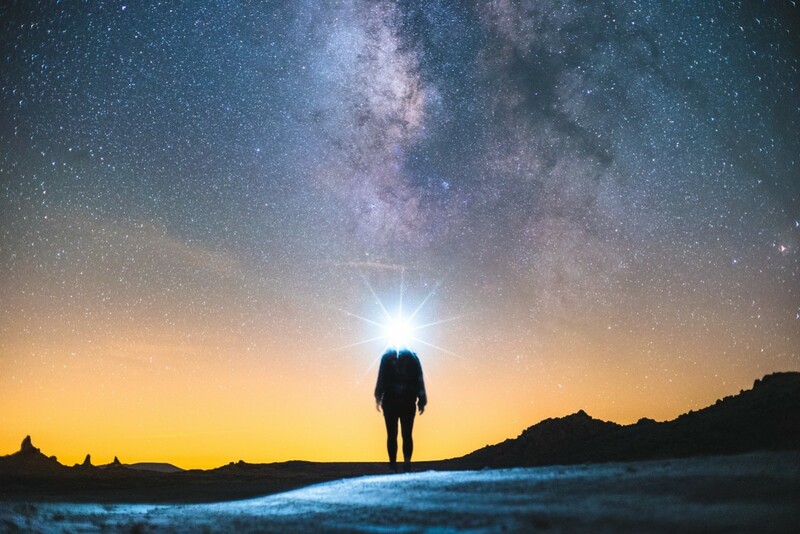 You’ll need your hands free to handle your camera in dark conditions, so definitely pick up a headlamp. You’ll use it to help with focusing, you’ll use it to help find buttons on the camera, and you’ll need it to avoid tripping over bushes and rocks and critters at night. Make sure your headlamp has a red “night vision” mode. Once you are initially set up, the red mode will help you retain your night vision for seeing in the dark better and won’t interfere with other stargazers in your group. I wholeheartedly recommend Petzl Headlamps. I have had headlamps from both Black Diamond and Energizer fail on me at night but I have never had a Petzl fail, knock on wood. They’re weatherproof, bright, efficient, and comfortable. It’s possible to switch directly into red mode on most of their headlamps so you don’t blind yourself when turning it back on and they all have amazing battery life. When they’re batteries run low, they warn you with an indicator light and they automatically switch into a power saving mode to keep the light going for additional reserve hours. I personally use an older version, the Tikka XP2 for all of my astrophotography shoots. An intervalometer is a remote timer that plugs into your camera. It lets you do two things: make exposures longer than 30 seconds and shoot timelapse sequences. They’re cheap at around $20 and can come in handy with astrophotography. As you’re getting started with astrophotography, I recommend using a smartphone app like Stellarium or Sky Guide to help you find the Milky Way. If you’re in a dark enough area, it should be easy to find with your eyes, but an app will make it a much simpler a task. Make sure your camera battery is charged, your headlamp has some fresh batteries, and you have a couple memory cards handy. Once your kit is together, you’re ready to shoot! Head on over to Astrophotography 101 for lessons on exposure, processing and other astrophotography tips and techniques. First Time? 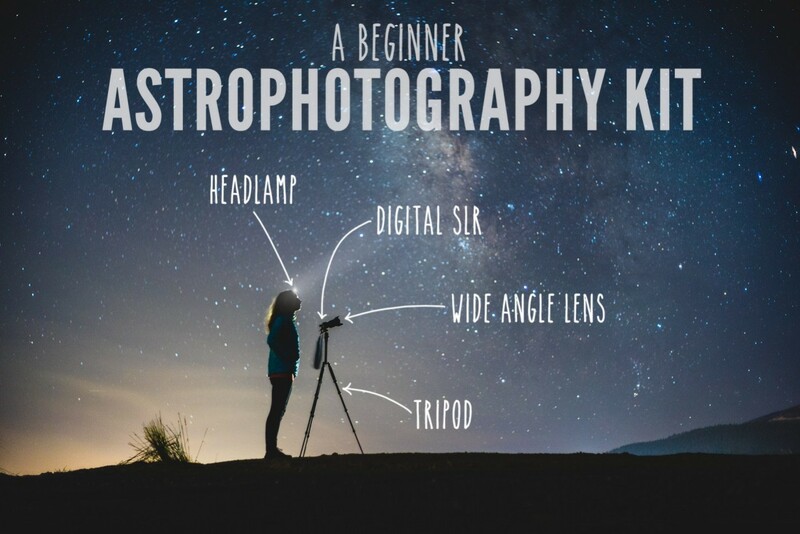 Check out the How to Photograph the Milky Way lesson. Hello Ian, i see that most of the lens you suggested are aps-c/e-mount lens which then used in full frame a7s FE mount camera causes would cause little vignetting in your photos as seen on your website here. Are these lens recommended for full frame lens?..